We absolutely love breakfast in my family. I always grew up eating breakfast every day, no matter what. My mom always took the time to make something delicious, even if it was just instant oatmeal and fresh fruit. I do the same for my family and I have to admit, they’re kind of spoiled. I got to the point last fall where I was making full breakfasts everyday. This year I decided to do something more healthy and really dive into making different types of smoothies. This way I can cut our calories in the morning and make sure were eating more fruit too! Making smoothies is so much fun for me and the kids have really been love them too. I have three favorite ones I make. One is with all orange fruits. That’s called a sunrise smoothie. 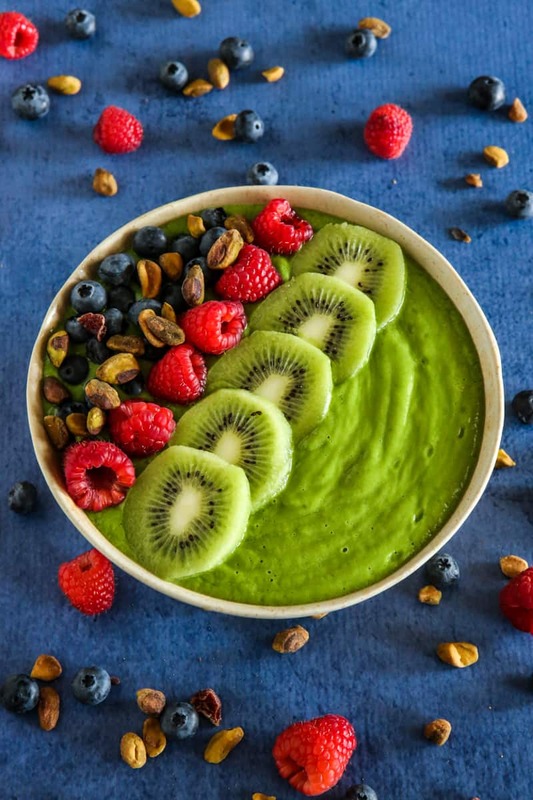 Another is a Berrylicious smoothie, but my favorite is this green goddess smoothie shown here. Any smoothie I make may go in a glass or bowl, depending on the day. The ones in the bowl get topped with lots of fresh fruits and nuts or seeds too. 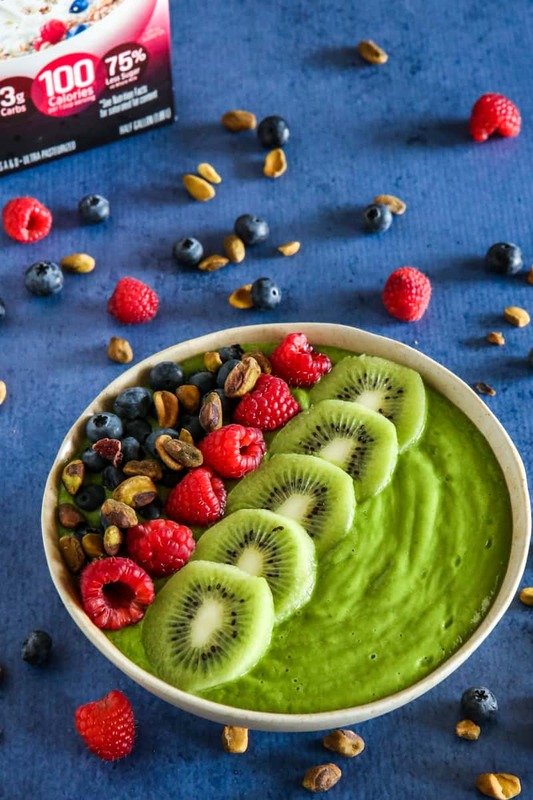 You can also add granola to these smoothie bowls too and it’s so delicious! To make my smoothies more nutritious, I also add pasteurized eggs. This adds extra protein and is great for my son, because for some reason he despises eggs. I also sometimes also add vanilla Greek yogurt for extra creaminess and protein and coconut water for electrolytes. But for my green goddess smoothie, I like to make it as delicious as possible, so I start with a super ripe sweet banana. The sweet banana helps cover up the taste of the spinach for the kids. I also add lots of fresh spinach and a ripe avocado. Then I add Hood Calorie Countdown for creamy dairy goodness. 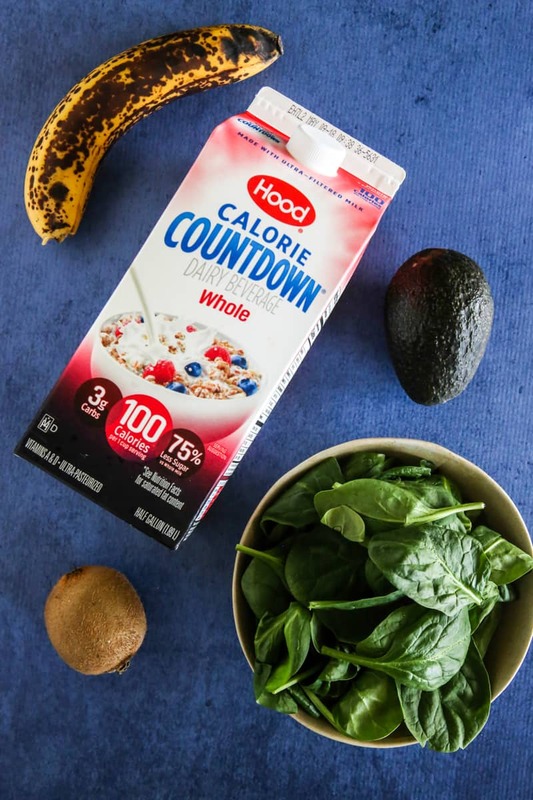 Hood Calorie Countdown is a remarkably creamy dairy beverage that is perfect for making smoothies and beautiful smoothie bowls like this one too! I found Hood Calorie Countdown at my local Walmart Neighborhood Market in the dairy aisle. You can also find it at other national grocery retailers. 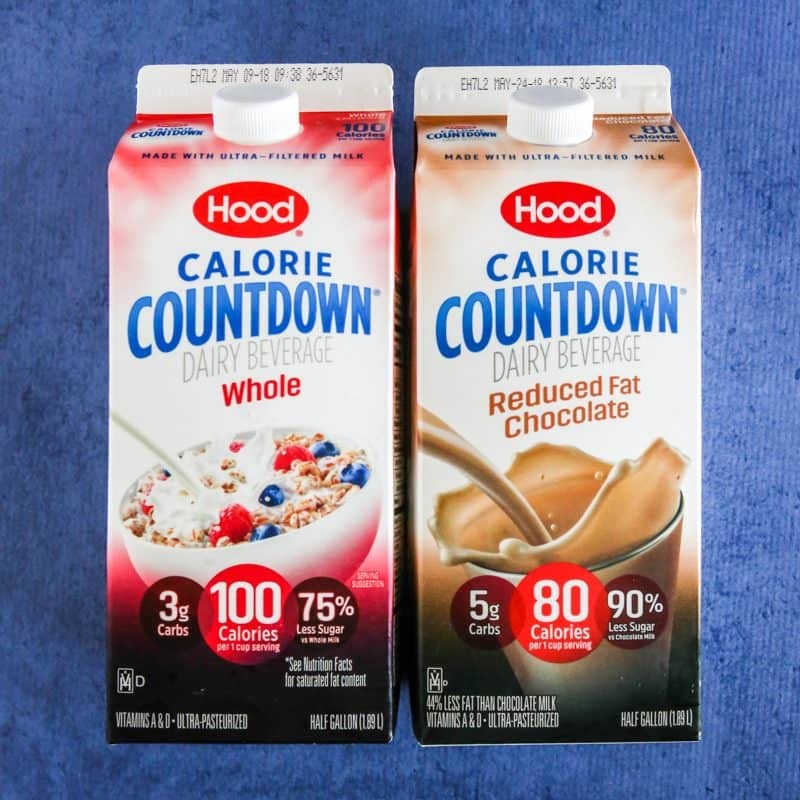 We’ve been enjoying both Hood Calorie Countdown in Whole and Reduced Fat Chocolate. As you can imagine my kids love the chocolate! And I love that Hood Calorie Countdown is lower in calories! It is a creamy smooth dairy beverage that has 42% fewer calories, 75% less sugar and 67% fewer carbohydrates than milk. It’s the perfect addition to our family’s healthier lifestyle. Calorie Countdown also provides 25% of our Daily Value for calcium and 15% of our Daily Value for Vitamin D (based on a 2,000-calorie diet) per one cup. That makes me feel good about serving it to my family. It’s also made by Hood, a leader in high quality dairy products. 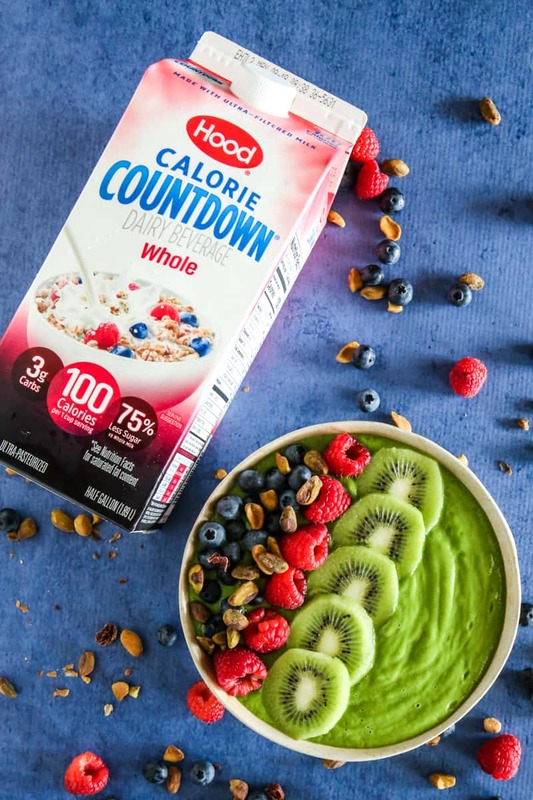 Calorie Countdown is able to make this amazing product by blending ultra-filtered milk with water, cream (and other ingredients) for a delicious and creamy taste while delivering fewer calories, less sugar, and fewer carbohydrates than regular milk. And did I mention Calorie Countdown is made with milk from farmers who pledge not to use artificial growth hormones? Now that makes me happy! 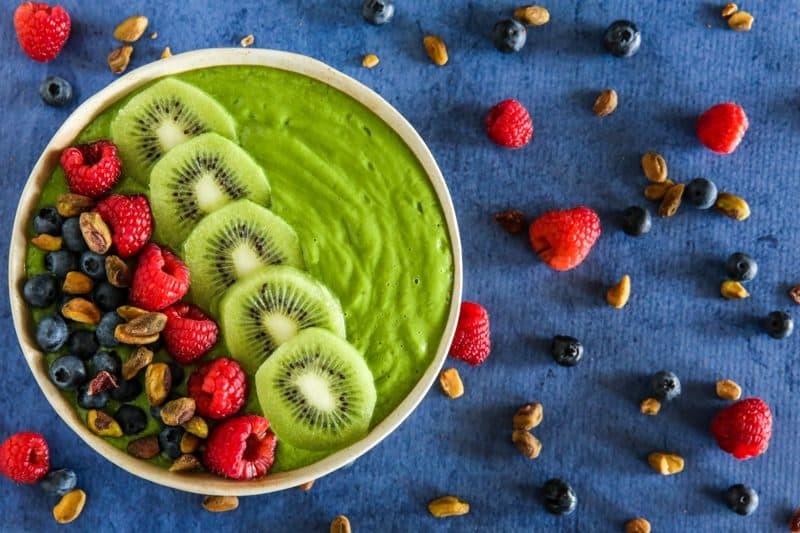 Blend all ingredients for smoothie in blender on smoothie mode or on high for one minute. 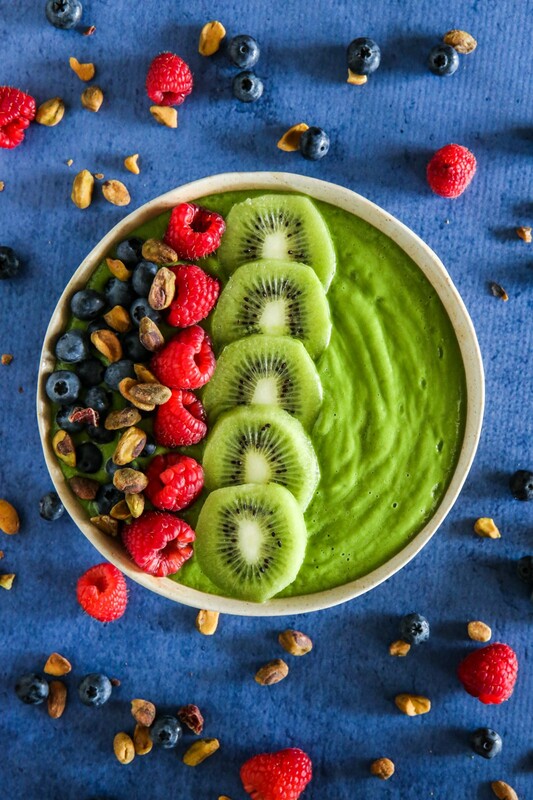 Pour smoothie in bowl and top with fresh fruit garnishes. Enjoy!